Providing you the best range of alcohol analyzer, alcohol breath analyzer, alcohol breath tester and digital alcohol breath analyzer model -road test with effective & timely delivery. 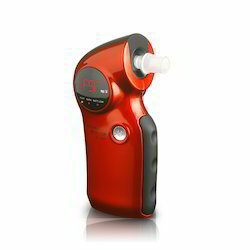 The Road Test Alcohol Breath Tester comes with the following features: Unique 4 digits LCD display Build in DSP microprocessor technology.Warm up time: less than 20 sec. [typical]. Auto adjusts / reset, with reset button Illumination button for use in dark [Auto shut off after 10 seconds]. 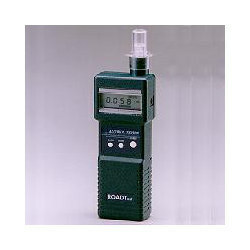 The Road Test Alcohol Breath Testers comes with the following features: Unique 4 digits LCD display Build in DSP microprocessor technology. Warm up time: less than 20 sec. [typical]. Auto adjusts / reset, with reset button. llumination button for use in dark [Auto shut off after 10 seconds]. Accuracy: 15% @ 0.01 % BAC. Blowing time: 4 to 5 sec. Continuously. Removable mouthpiece, easy to clean and replace. CE approved. Looking for Breath Analyzer ?